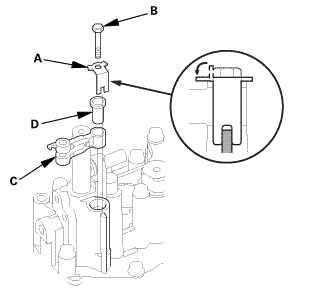 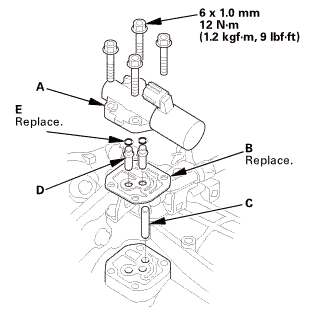 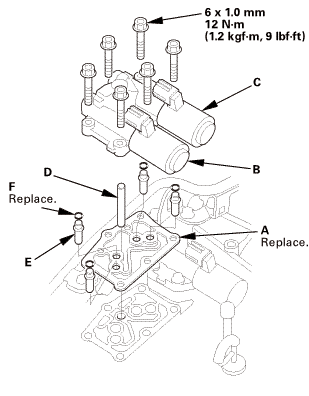 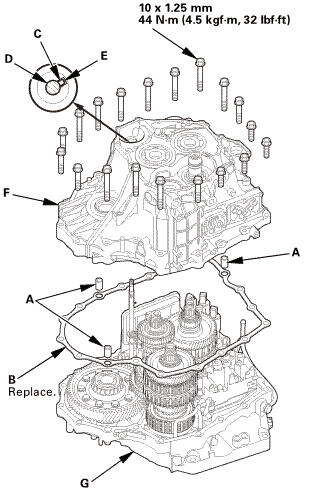 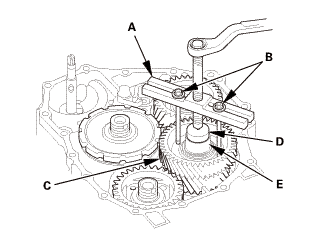 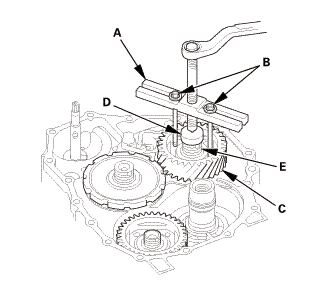 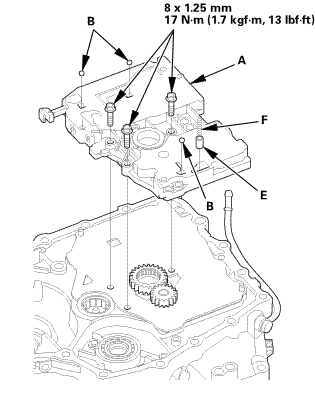 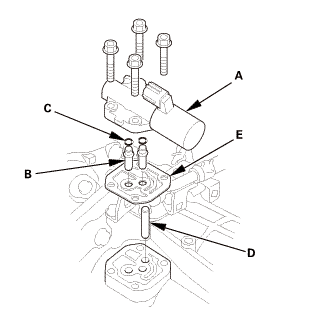 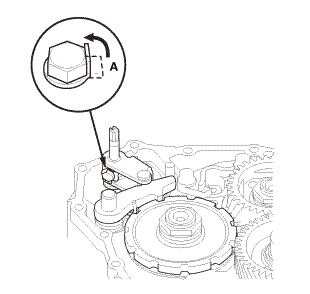 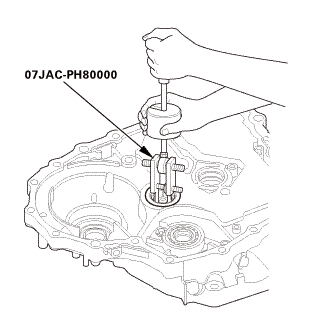 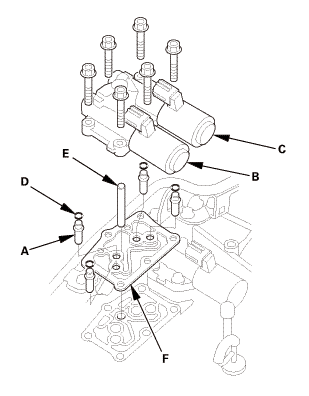 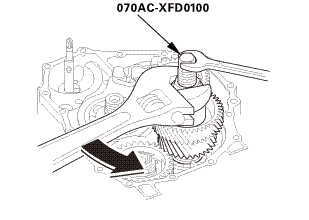 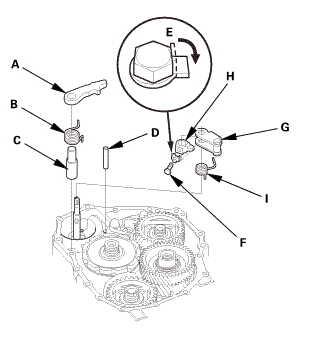 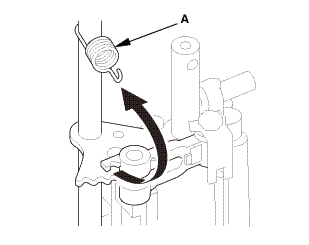 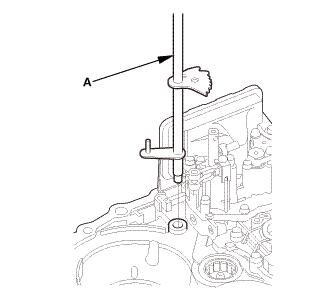 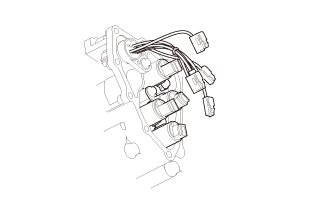 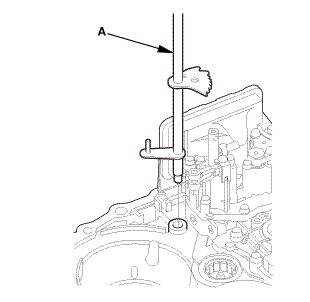 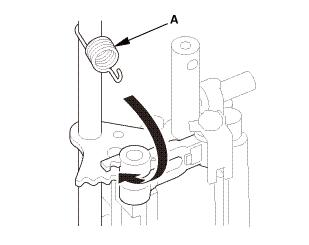 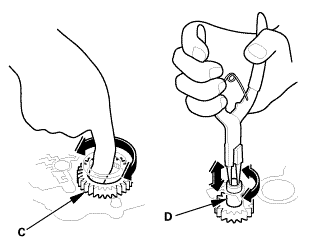 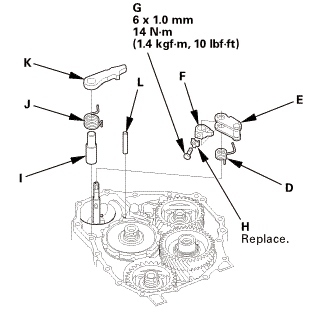 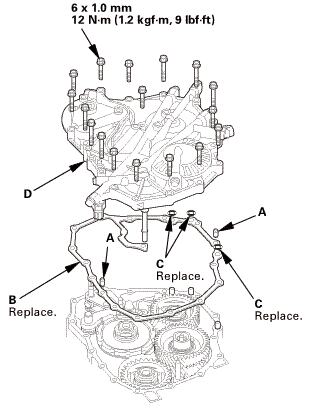 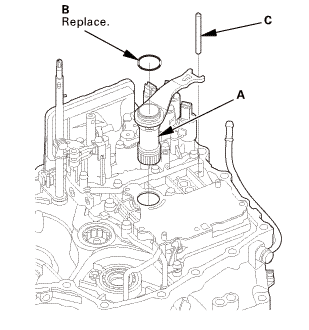 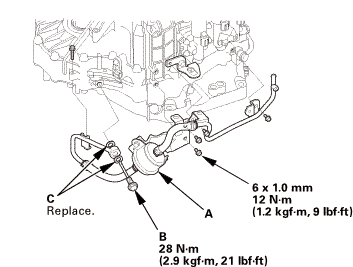 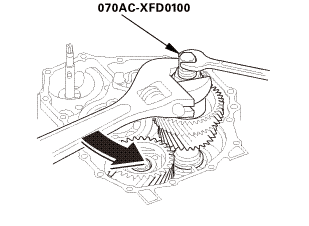 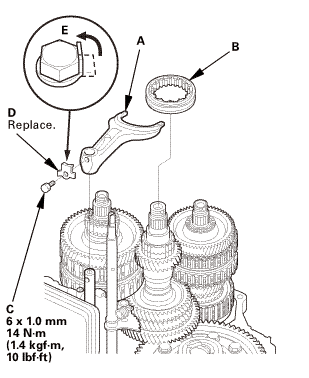 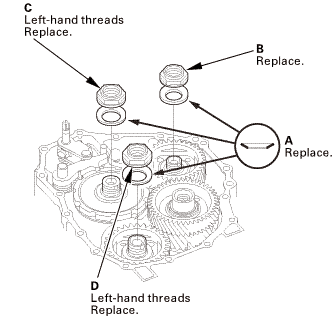 Remove the countershaft bearing (A) using the adjustable bearing remover set. 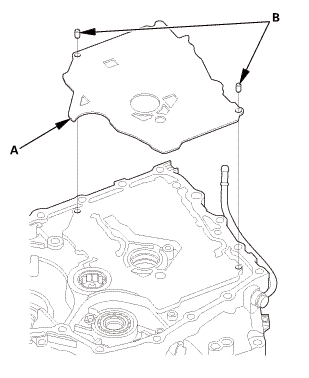 Remove the ATF guide plate (B), and check it for wear and damage. 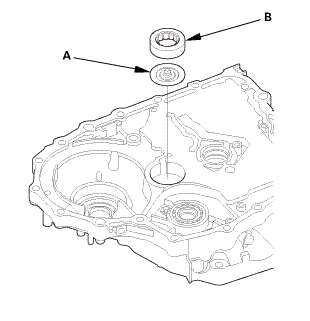 If the guide plate is worn or damaged, replace it. 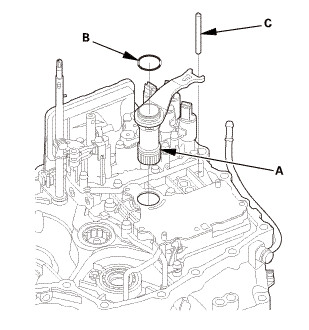 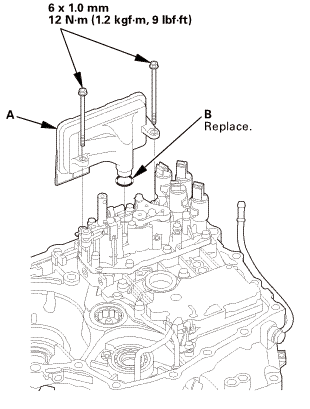 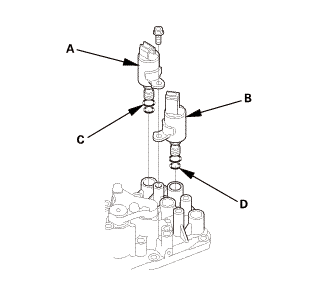 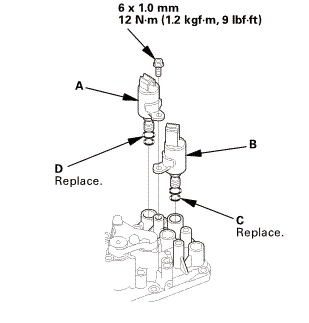 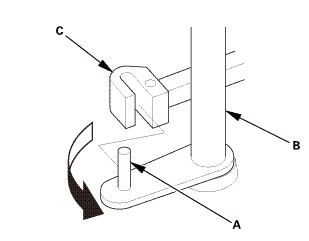 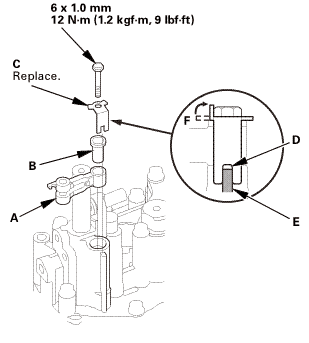 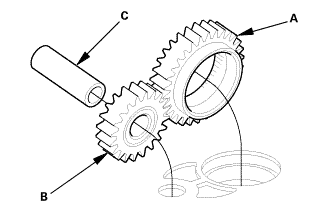 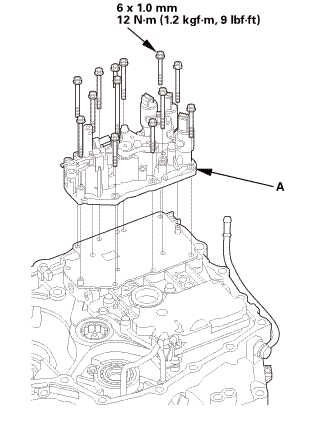 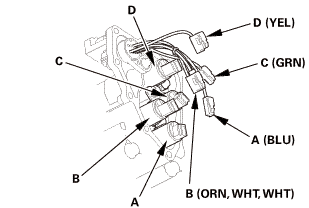 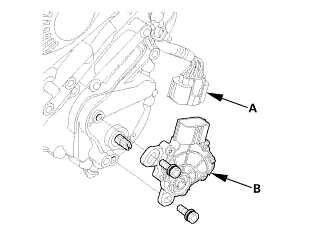 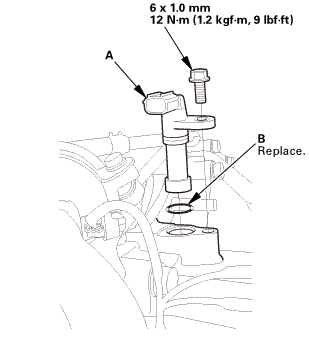 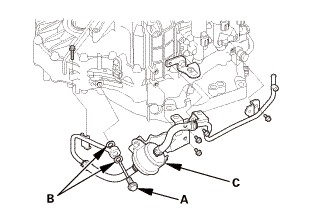 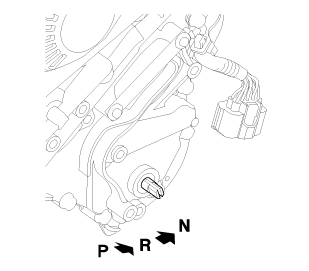 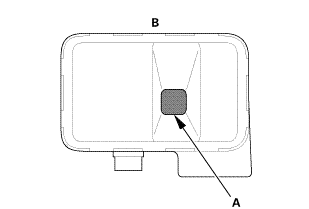 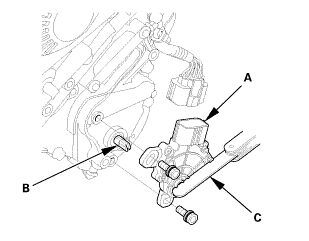 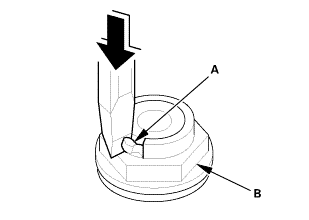 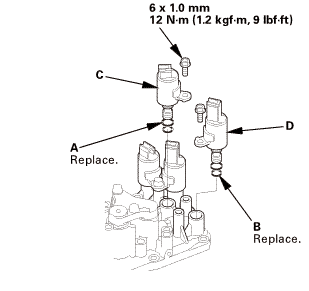 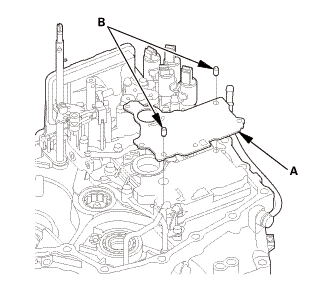 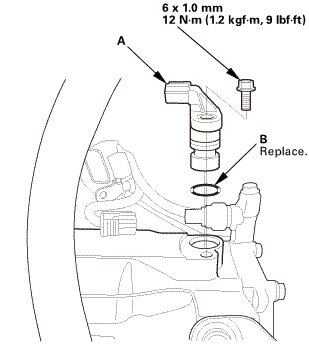 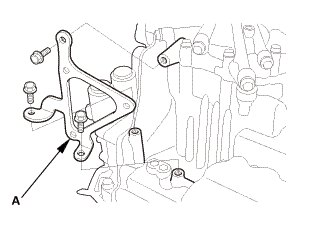 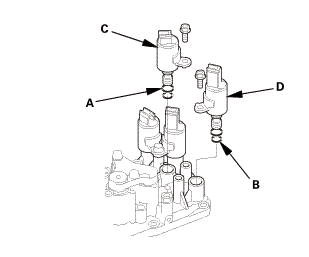 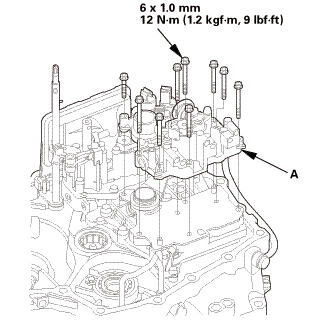 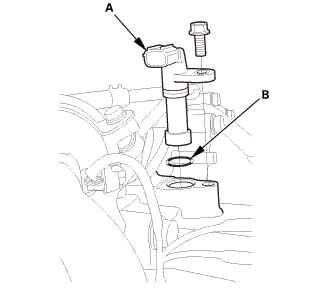 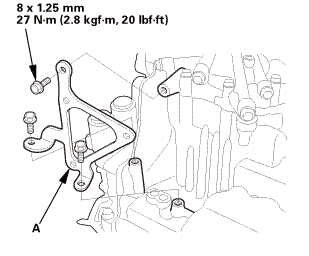 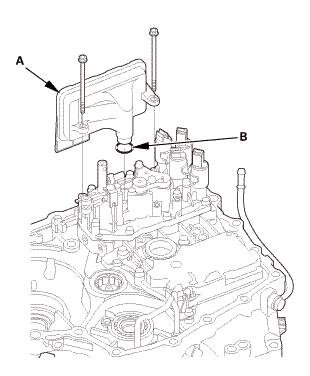 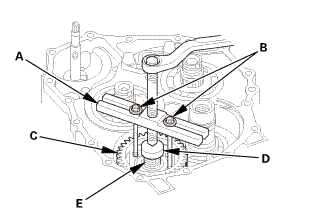 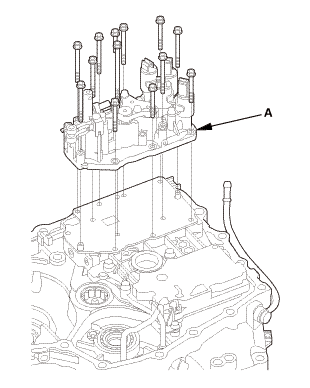 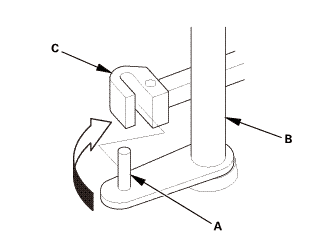 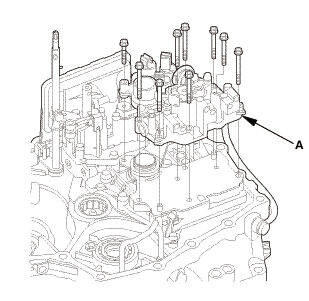 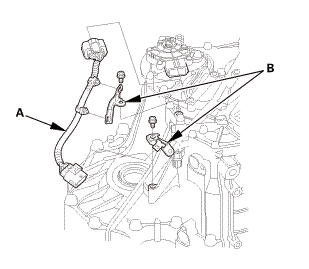 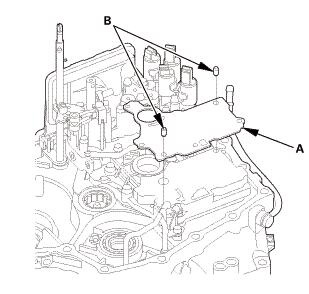 Install the ATF guide plate (A) and the countershaft bearing (B). 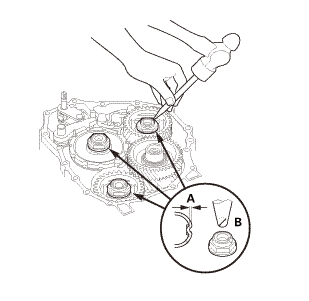 Install the countershaft bearing securely in the torque converter housing using the driver handle and the 62 x 68 mm bearing driver attachment. 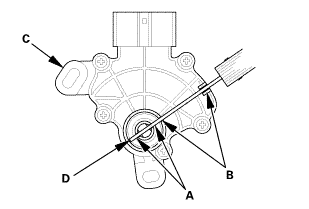 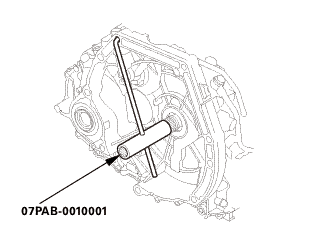 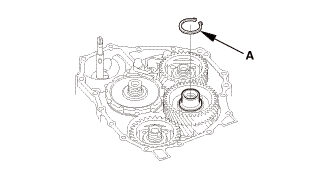 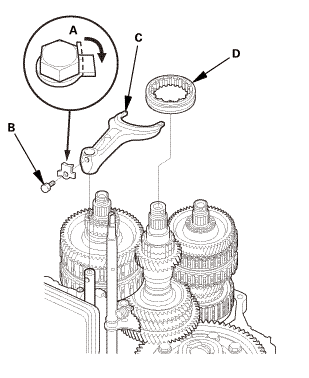 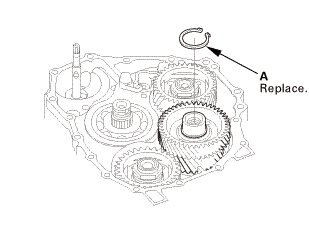 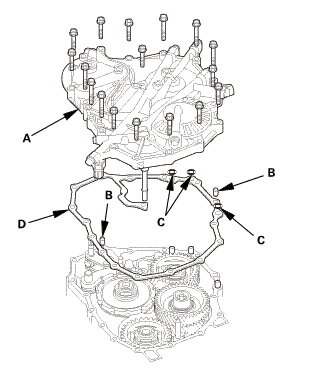 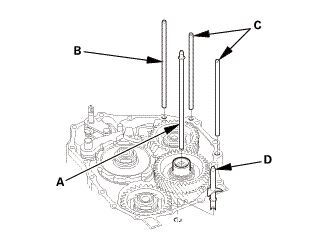 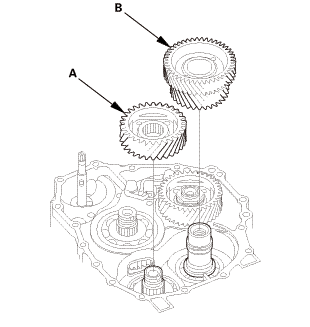 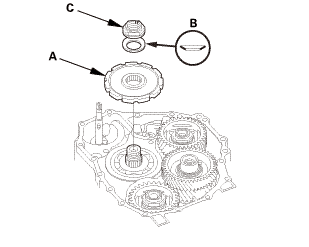 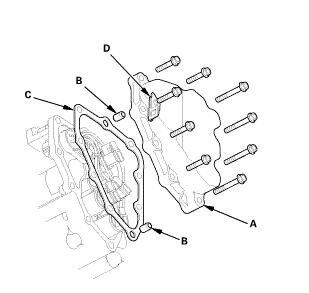 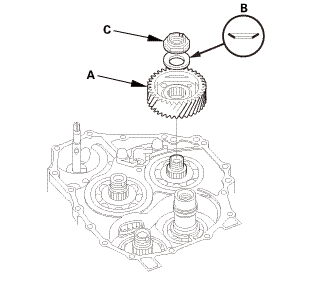 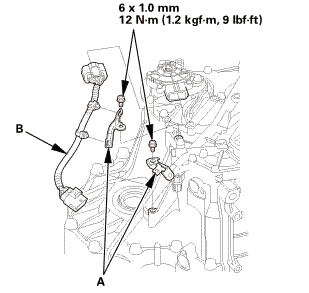 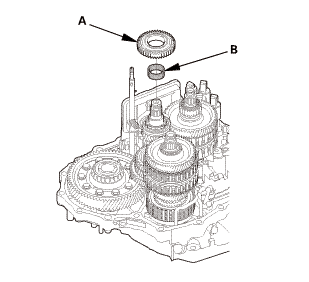 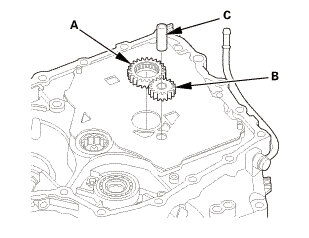 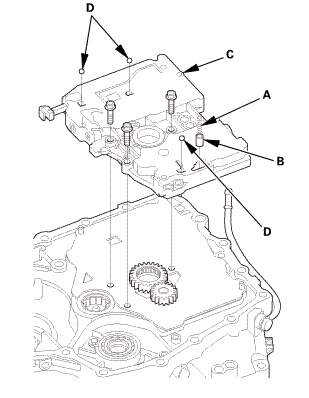 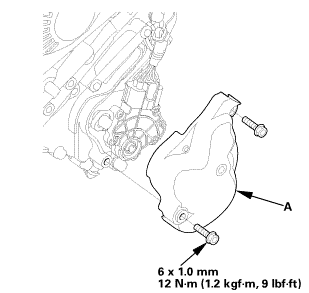 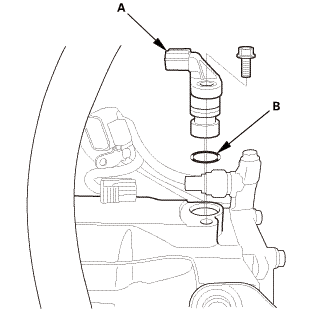 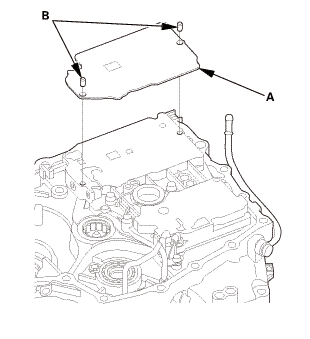 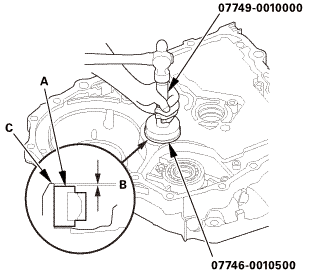 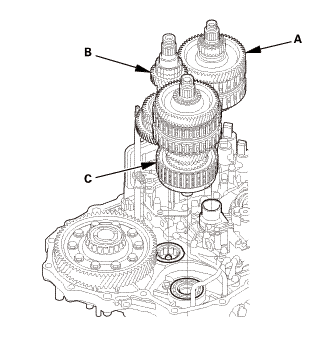 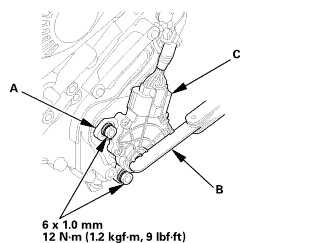 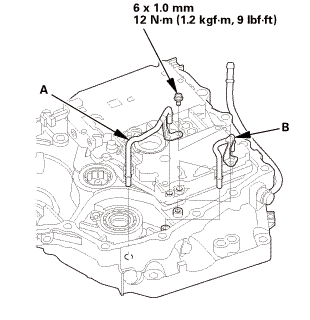 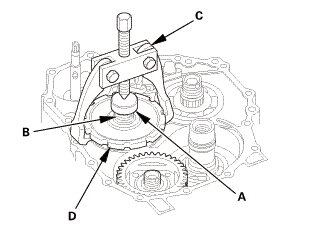 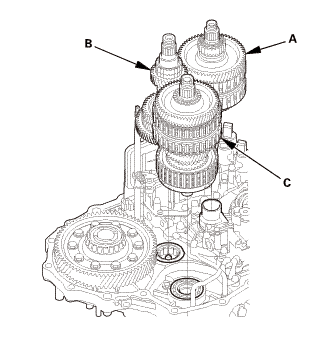 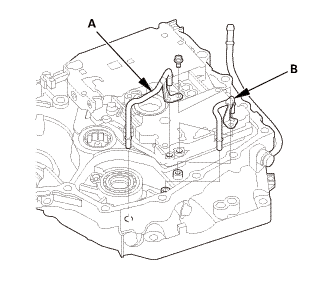 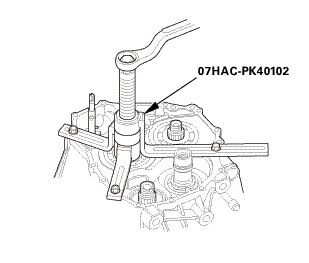 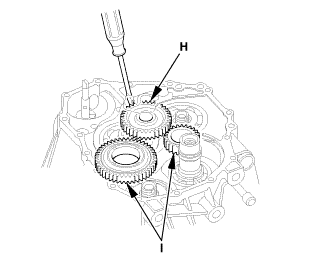 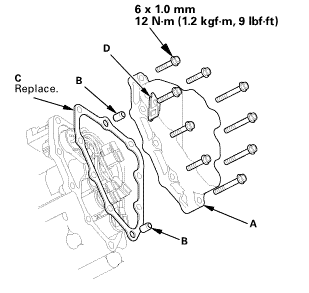 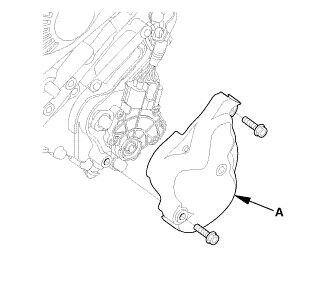 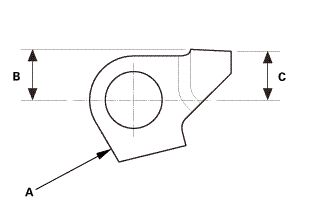 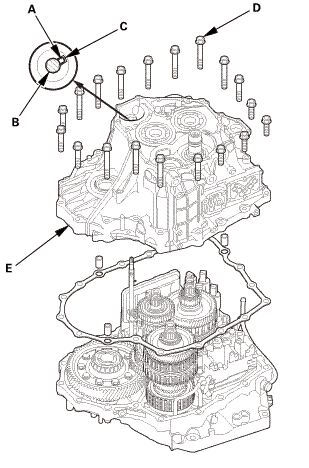 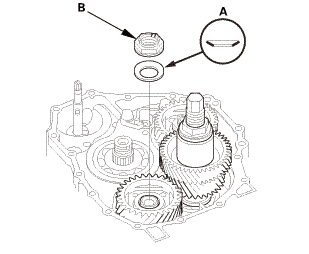 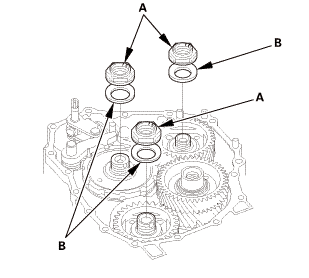 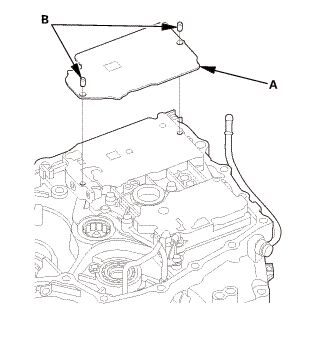 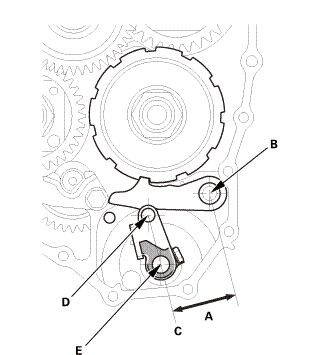 Make sure that the bearing outer race surface (A) is installed at a height of 0－0.03 mm (0－0.0012 in) (B) below the torque converter housing surface (C). 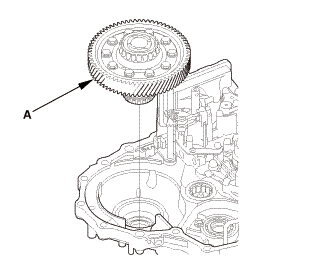 NOTE: Do not install the countershaft bearing exceeding 0.03 mm (0.0012 in) from the torque converter housing surface.